The news is just getting better for the iOS users and fans. Apple may include AirDrop's direct file sharing tool native version on iOS 7. According to a 9to5 report, the Apple is in the testing stages of the AirDrop's drag and drop sharing facilities with iOS 7. 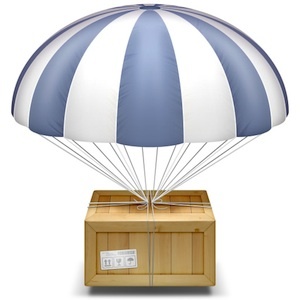 Users may know that AirDrop is already available as a ad-hoc service in the OS X operating system. The AirDrop function that Apple seems to be trying to work on for iOS 7, will work between two iOS devices and potentially an iOS and Mac device. You will possibly be able to send images and files from your iPhone to your friend’s iPad and vice-versa. This will be quite unlike iCloud Sync that works to transfer files between two iDevices owned by the same person. AirDrop will let you drag-and-drop files in order to send them to others’ iOS devices. Though it was rumoured that Apple was working on an AirDrop tool to use the new WiFi hardware within the latest iOS devices, but alas, it remained a rumour. But with the 9to5 report, it seems certain that AirDrop's drag and drop option will be available on iOS 7. 9to5 was quick to warn that Apple could possibly not include this feature in the final release of iOS 7, expected around mid-June, since it had scrapped the idea last year. While we are on the topic of rumours surrounding the iOS 7, another of the rumour(mostly likely to be true) is that iOS 7 update will contain deeper Flickr and Vimeo integration. This even seems very likely considering the deep integration of Twitter in iOS 6. You will be able to sign in using Flickr and Vimeo networks using iOS 7’s built-in settings application. A single log-in will give you full sharing access to these social networks using your iOS devices. Will keep you posted on the rumours as and when they arise and evaporate in the thin air. I intend to post only those rumours which are most likely to feature on iOS 7. Do read my earlier article on iOS 7 here.